J.S. Richardson prepared the first guidebook for Dirleton Castle 1934. A second edition appeared in 1950, and this continued as a blue guide into the 1970s. This consisted of a histroy: Lands of the Barony; the De Vaux Family; the castle during the Wars of Independence; the Halyburtons; the Ruthvens; the raid of Ruthven; the Gowrie Conspiracy; Ruthven building; furnishings and gardens; the Dirleton witches; Cromwell and the Moss-troopers. This was followed by a description. A foldout plan and sections were placed inside the back cover. Chris Tabraham revised Richardson’s guidebook in 1982. A new guidebook, by Tabraham, was published in 1995. This consists of two main sections: Guided Tour and History. There is wider coverage of NTS in the ALVA figures for 2018. Bannockburn’s visitor numbers are a surprise given the increase in HES numbers for Stirling Castle. The Cistercian abbey of Sweetheart was established in 1273. The remains were placed in State Guardianship in 1928. James S. Richardson prepared the first guidebook in 1934. A second edition was issued in 1951. It follows the standard format of History and Description, with a fold-out plan inside the back cover. The Historic Scotland Official Souvenir Guide is Richardson’s guide, revised by Chris Tabraham. This has a guided tour followed by the history. The text differs from the one prepared by Richardson. Within the cloister at Glenluce is a recessed book cupboard marked by a Ministry sign. 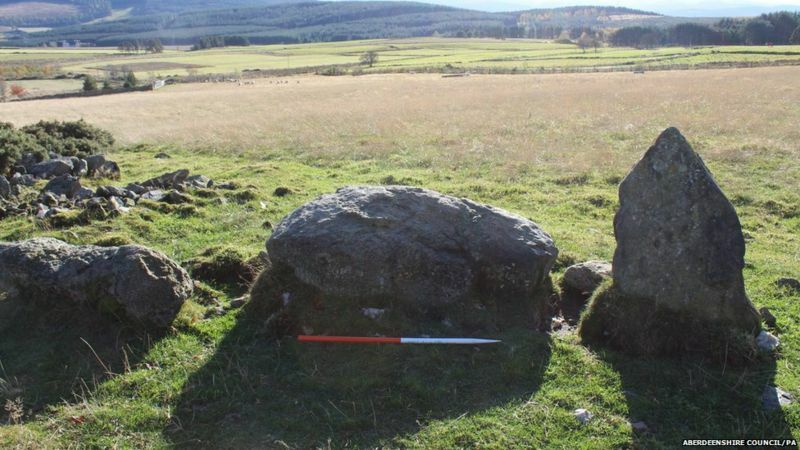 It has been announced that a broch will be reconstructed in Caithness (“Bid to build replica Iron Age tower in Caithness“, BBC News 4 January 2019). The Caithness Broch Project is using crowdfunding to raise support for the reconstruction.